Mobius 2019 Piter. 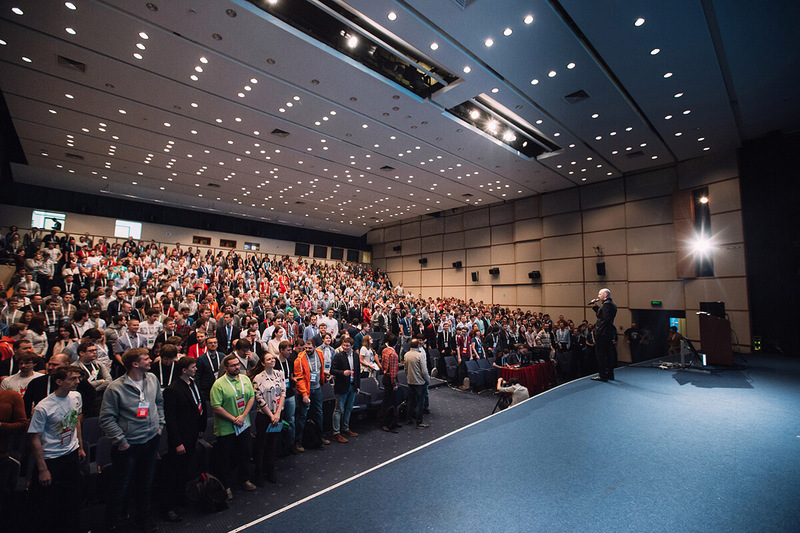 A conference for mobile apps developers. May 22-23, St. Petersburg and online. Senior software engineer at EPAM, where except project work Anton is responsible for mobile community's growth in St. Pete and globally at company. Artur works at Yandex on Yandex Android application. He's very sensitive about the quality of applications he develops. He has no intentions to switch to Kotlin and always makes slides in Java. He's a conference speaker and also organizes GDG & KUG SPB meetups. Odnoklassniki Android application developer. Kirill graduated from St. Petersburg State University, where he studied computer vision and security. He's into Android development since his second year at university. He loves football, table tennis, roller blades, and snowboard. A professional developer of mobile applications since 2010, Evgeny got working experience in various types of companies: custom development startups, product development startups, big holding companies. Since 2014 he works in Avito as a leader of a team focused on iOS and Android mobile architecture. He's a Program Committee member of such conferences as AppsConf (since 2016) and Mobius (since 2017). Kirill has been working in mobile development for quite a long time, having tried Windows Mobile, Android, Windows Phone, and iOS. In the end, iOS won his heart once and for all. Kirill played his part in development of the top-rated applications of Russian App Store. Head of Mobile Development at Yandex.Transport. During his career Eugene had experience in science and back-end development on C# and Java. In the last few years he immersed himself deeply into mobile development, especially for Android. He is also one of hosts of the Podlodka podcast. Peter started his developer way from web apps on Ruby on Rails. When Apple finally introduced Swift as alternative for mess of opening and closing brackets of different types (yes, this means Objective-C), Peter switched from cozy Ruby to strictly typed Swift. He enjoys working with UI, prefers to have less lines in Cartfile and implement features by himself. He loves AppCode. At off-work time he develops his own iOS project with backend on Rails, which has more than 6K rates in AppStore with average rate of 4.8. Vladimir Ivanov is now a lead software engineer in EPAM learning to become a Solution Architect. Accomplished Android developer, React Native expert, Certified Google Cloud Architect, mentor and speaker. Solution Architect at EPAM in Netherlands. More than 9 years of mobile development experience, also cloud & back-end systems experience. Author of blog for newcomers in Software Architecture. Alexey has been working in development for 5 years. Since 2017 he works on Avito iOS app. Since 2018 he's a part of the messenger unit in his company. He likes studying computer science, contributing to open source, doing pet projects, managing meetups. He's also a sound engineer of Podlodka Podcast. Android developer at Jet.com, leading a team of 5 developers whose main focus is to build performant, scalable and cutting-edge Android projects. For the last few months Yuliya has been leading AR development. She is actively involved at C4Q — non-profit organization, which fosters the tech community in NY. Conference for mobile apps developers.